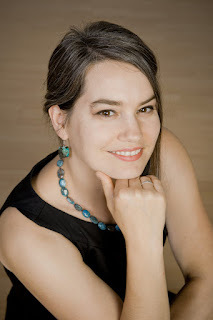 Thank you so much to YA Reads for making me part of the blog tour for True North. When I saw the sign up post for this tour, and L.E. Sterling had tweeted me (and a few others) about it, I just knew I had to be part of it. Abandoned by her family in Plague-ridden Dominion City, eighteen-year-old Lucy Fox has no choice but to rely upon the kindness of the True Borns, a renegade group of genetically enhanced humans, to save her twin sister, Margot. But Nolan Storm, their mysterious leader, has his own agenda. When Storm backtracks on his promise to rescue Margot, Lucy takes her fate into her own hands and sets off for Russia with her True Born bodyguard and maybe-something-more, the lethal yet beautiful Jared Price. In Russia, there's been whispered rumors of Plague Cure. While Lucy fights her magnetic attraction to Jared, anxious that his loyalty to Storm will hurt her chances of finding her sister, they quickly discover that not all is as it appears…and discovering the secrets contained in the Fox sisters' blood before they wind up dead is just the beginning.?? Ever since I read True Born last year, I was anticipating book two, curious to see how the story would continue. After reading True North I can safely say that I wasn't disappointed and that the wait was definitely worth it. Now the only problem I have is that I'd like to read book three right about now. Since this is a second book in a trilogy I don't want to say too much so I won't spoil anything, so I'll start off by saying that I love the cover. 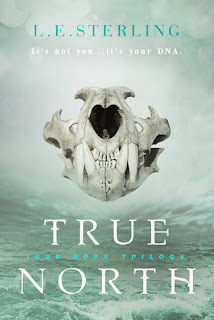 It's just as amazing as the cover of True Born, so I can't wait to have both books on my shelves sooner or later to show them off. Okay, let's go into plot and character thoughts but trying to stay spoiler free, of course. I loved following Lucy throughout the story once more as she tries to find Margot and figure things about with Jared. They are amazing together and their tension is off the hooks. She remains an amazing and interesting character which makes following her and her thoughts a lot of fun once more. True North is full of mysteries and also a few answers, though leaving a lot of them still unanswered and thus the reader hooked and thirsty for more and more. The world building continued to amaze me in this one, adding more details to the world L.E. Sterling created. Also the fact that we go to Russia made me happy because I love books that play there in any sort of way. All in all True North is a worthy successor to True Born, fast paced and amazing beginning to end. I am definitely looking forward to the final book in the series and seeing how everything ends, even if saying goodbye to this trilogy will be a sad moment. I give True North by L.E. Sterling 5 out of 5 stars. I was a voracious devotee of sci-fi and fantasy novels all through my childhood, so I suppose it doesn’t come as much of a shock that I’ve returned to the genre with a vengeance. For a while I turned my back on the genre in favour of ‘high-brow’ literary texts. Ironically, it was my doctoral degree that saw me circling back. There’s something about the way postmodern literature plays with the arcane that had me utterly fascinated, and it wasn’t long until I fell headlong back into my old ways and haven’t looked back since. My first novel, which isn’t in the Urban Fantasy or Fantasy genres, isn’t high literature, mind you, even if it tangles with some serious statements about politics and the way our western world runs. My editor described it as something between Charles Dickens and The Catcher in the Rye: Serious Fun, in other words. 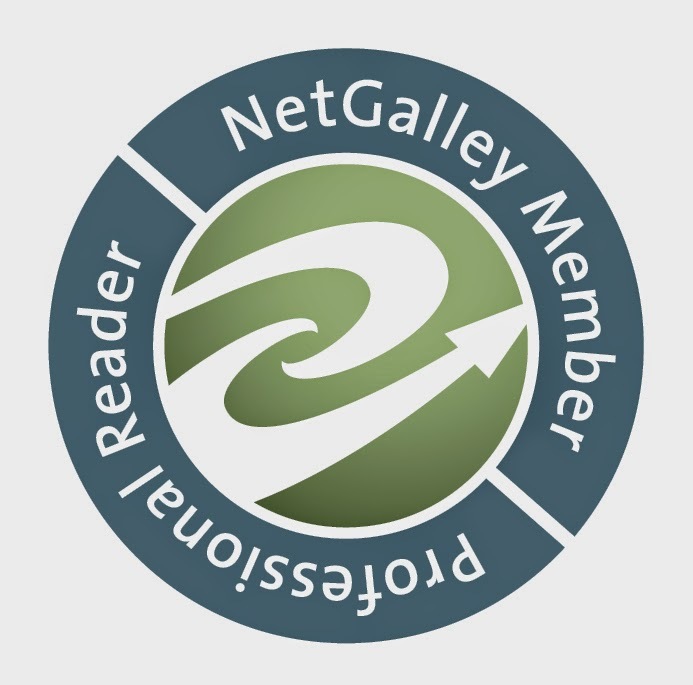 My second novel, Pluto’s Gate, is where I’ve come home to myself: it’s a contemporary retelling of the Demeter-Persephone-Pluto story from Greek mythology. Folded into the mix is a Shaman-in-training, a magical book, Underworld Gods, a world covered in ice, a three-headed dog, and one lousy ex-boyfriend. But I’ll tell you this much: I believe in the power of words and stories to transform our inner worlds. Whether the characters be vampires or vagabonds, a good narrative sucker punches so-called reality anyhow. Alice has read 1 book toward her goal of 40 books. Alice has read 0 books toward her goal of 55 books. Alice has read 9 books toward her goal of 40 books. Alice has read 11 books toward a goal of 30 books.